The Metro team is dedicated to ensuring that you receive the best facility maintenance services at the best price, with minimum effort. That’s our pledge to you. One Number to Call for Prompt, Professional Service. Simplify your building maintenance with Metro Facilities Maintenance services. Our service is simple, cost effective, and easy to roll out to all your locations in the United States. Ensuring a consistent experience throughout your company’s footprint can be a challenge. To maintain a professional appearance and protect your revenue stream, everything from windows to light fixtures and restrooms must be repaired regularly. But tracking down reputable, high quality professionals to fix these problems can be complicated, and many site managers simply don’t have the time or expertise to find the right solution at the right price. Metro Facilities Maintenance does the hard work of identifying the best vendors that serve each of your locations, including plumbers, electricians, window specialists, flooring specialists, handymen, and more. We make sure that every service provider that walks through your door is qualified and insured, and will provide you with the fast, professional service you need to get the issue resolved quickly, with minimal disruption to your business. We work with each vendor to negotiate preferred pricing on your behalf, so you receive the best value. The Metro team will work with your firm to clearly define the parameters of each professional visit. We will identify a maximum dollar amount threshold for each type of repair, and establish permissions and procedures so that you maintain complete control over the repair process. When a location manager contacts Metro via phone or email with an issue that must be resolved, the procedures are clear. We immediately dispatch the proper service provider to the location, where they review the problem and identify the solution. If the repair falls under the previously defined maximum, the work will be done immediately with no further action upon your part. If the repair is above the maximum amount allotted, our team follows the established procedure to gain approval to complete the repair. 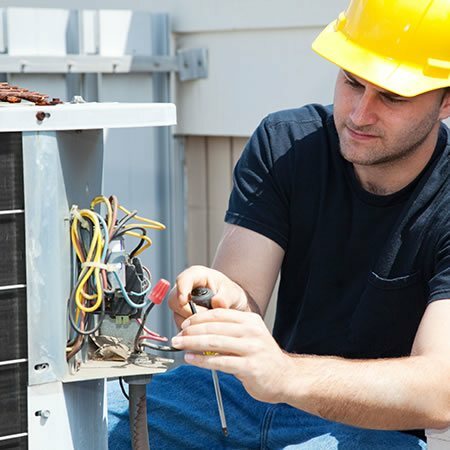 Repairs are completed quickly, professionally, and at a high level of quality. At Metro, we believe that communication is the key to quick repairs and satisfied customers. That’s why we are proactive, making sure that the repair is completed quickly, and that your team is informed of the status at all times. If the repair can’t be completed immediately because a part must be ordered, the Metro team contacts the site manager to provide the latest information and an estimated time for repair. We continually monitor the status of the part and the repair to confirm that everything is progressing as it should. After the work is complete, our team contacts the site manager to ensure that they are satisfied with the work and professionalism of the vendor. We are committed to your satisfaction. No monthly fees…we bill only after the work is done. There is no yearly contract that you need to sign, and you won’t pay until you use our services. While other companies require a set monthly fee for facility maintenance, we believe that you should only pay for those services that you actually use.